is it possible to reduce the volume of the music without touching the game? The effect with the water is actually in the game, not a dolphin problem. They used some kind of shortcut with the effect and it shows up more in HD than on a standard definition T.V. For the sound issues, use the LLE audio setting to make it accurate as to how it would sound on a T.V. Zelda ucode games are buggy on HLE audio. Actually, an overclock to that processor (ONLY if the model ends in "K") will help you play the game with LLE. AF doesn´t impact performance, so you can set it to the highest. Try turning of AA and lower the IR. 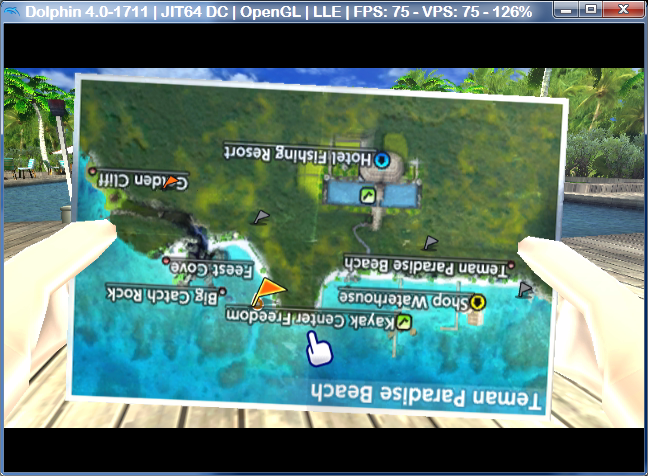 OpenGL with "Vertex Streaming Hack" checked in Graphics > Hacks may provide even better performance than D3D9, FYI. Also, if you want to have full speed everywhere in the game with LLE (spoiler: Hyrule Field is gonna want to make you hang yourself, especially since it gets even slower as you progress in the game), you're gonna need a faster CPU – there's no way around that.